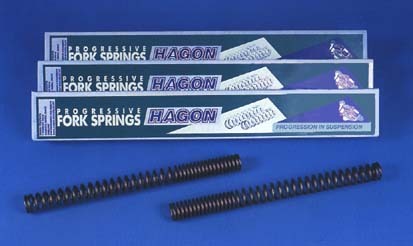 Bits4motorbikes.co.uk price per pair of Hagon Fork Springs only £93 comes with fitting instructions. All prices include VAT and free mainland UK delivery. This prices include VAT and free mainland UK delivery. 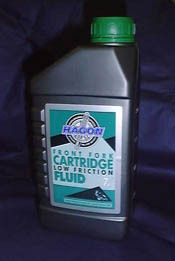 Original Hagon Suspension Fluid (Fork oil) is the result of thorough research and development. Highly advanced additives ensure perfect lubrication, excellent operation and optimum protection. 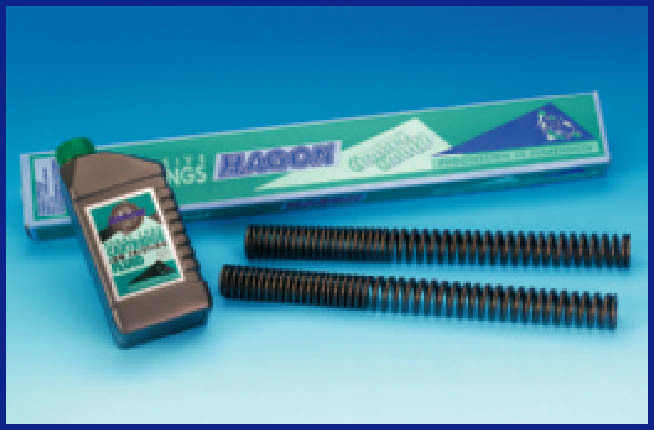 It's high viscosity index makes it suitable for use in extreme conditions and a perfect companion to Hagon progressive fork springs.